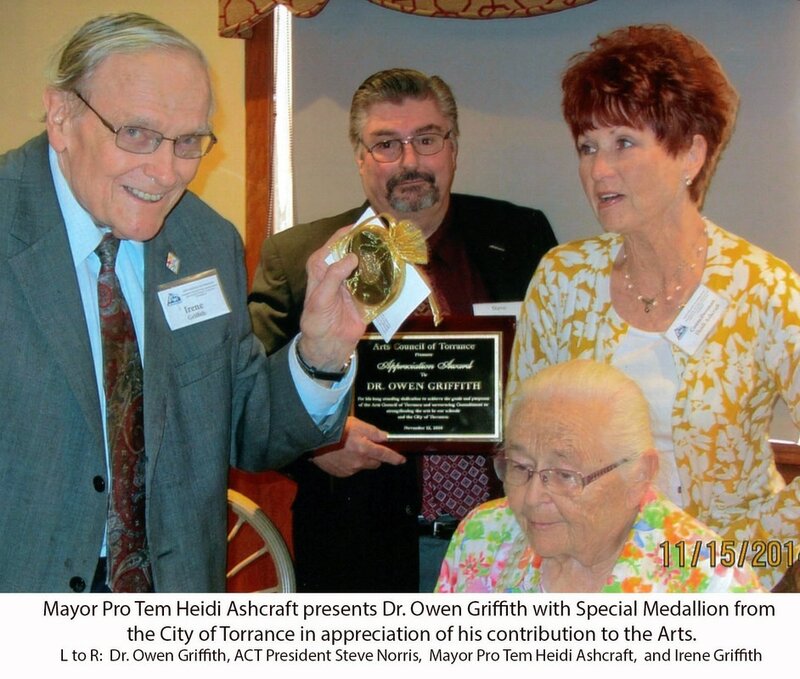 CONGRATULATIONS to ACT's own Owen Griffith! 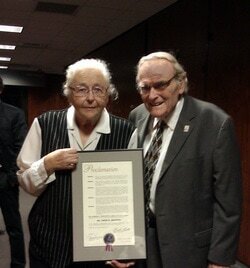 Dr. Owen Griffith and Irene proudly display a Proclamation from the City of Torrance that recognized Owen for 45 years of service to the Torrance Unified School District and the many volunteer hours serving non-profit organizations such as the Arts Council of Torrance, Torrance Performing Arts Consortium, Torrance Cultural Arts Foundation and the Torrance Symphony. The Proclamation was presented by Mayor Frank Scotto at the City Council Meeting on Tuesday evening, November 19, 2013. Presentation may be seen on CitiCable, item 6B.